Doing something amazing this day it’s a difficult thing. So, we came with a great idea what offers you the chance to get in touch with nature and yourself. Going on a camping vacation is like taking a trip into the past and get all your thoughts in order. Also, you can choose to take this journey with your family and make this trip all about you and your loved ones. Before you choose to go on a camping holiday, you need to know all the advantages and disadvantages of this kind of adventure. Even if you are tired of the noisy city and you want to explore and enjoy outdoor activities, you need to know both sides of camping vacation. 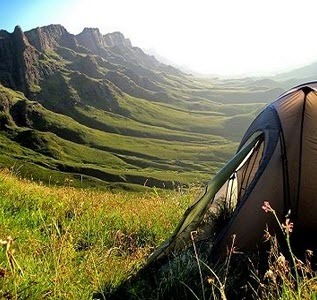 As you can guess, a camping trip helps you in your social life and has a great impact on your physical state of mind. First of all, nature means fresh air, a lot of sunshine and lots of trees. In the middle of this, you can only be happy, and the most interesting thing is that your body releases more serotonin from the extra oxygen and that is why you can feel so happy in those moments. Also, don’t forget about the light from the sunshine that gives you the right amount of energy that you need and your body receives a lot of vitamin D.
Starting from there, you will feel more in the mood to socialize and to remind good old stories and experience new unique moments. You will improve your moods, and the stress level will go so low, and you will feel like a new person with positive thoughts and much more energy. A camping vacation is also good for your night sleep. A deep sleep without nightmares will be your first best advantage to take this trip. You will feel just like a newborn, and your lever energy will get so high so that you can start new challenges. As you can see this trip will improve your soul and body. With this vacation, you will remind how is to eat good and fresh food exactly from nature. You can fish or hunt if you’re allowed. Talking about all the advantages, this kind of vacation is cheaper than one with hotels which most of us have. You will need just a tent, sleeping bags, and others but the difference is that you can use them all the time so if you buy them its a great investment. Also, the time you spend in one place depends on your mood. Being relax and happy is all that matters in camping vacations. On the other side, the disadvantages can be seen from a subjective view. Not for all people, some disadvantages will be the same. So, you will not have a toilet, but most of the camping has an ecologic toilet so you can use it as long as you want. Another problem can be missing showers, but you can always make a bath in a river, or you can rent a room in a hotel and take a shower. 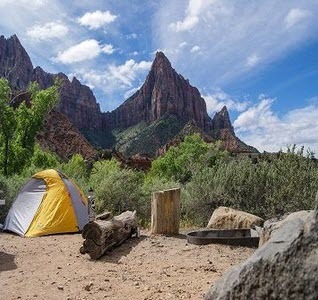 If you are an adventurous person, nothing can stop you from going on a camping vacation and experience all those amazing and unique moments. Enjoy the camping experience!